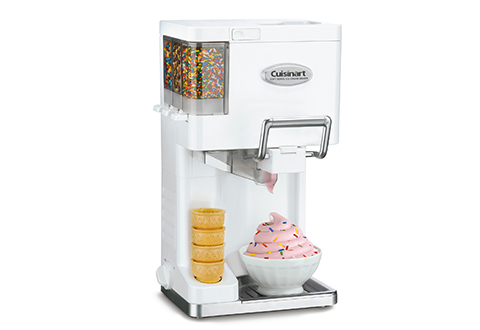 Make fresh, delicious ice cream and frozen yogurt at home with the Cuisinart® Soft Serve Ice Cream Maker. Just add milk, sugar, fruit, etc. and it makes 1.5 quarts in about 20 minutes. 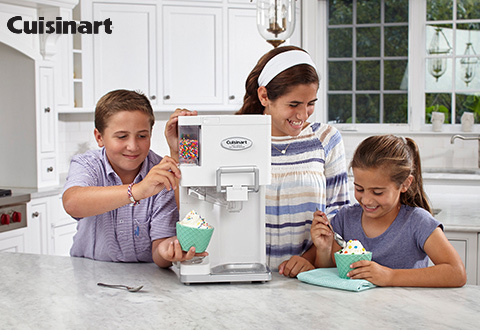 Three built-in condiment dispensers let you add toppings without a mess. Parts detach for easy cleanup. No chemicals, salt or ice is required. BPA-free. 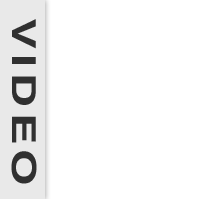 Includes recipe guide. 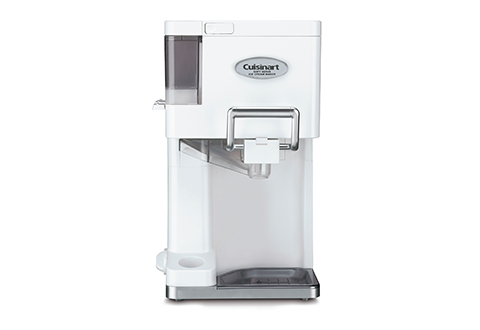 Item Will Ship in Approximately 2 Weeks	Receive a 20% Cash Back coupon and Free Shipping on all Cuisinart purchases! 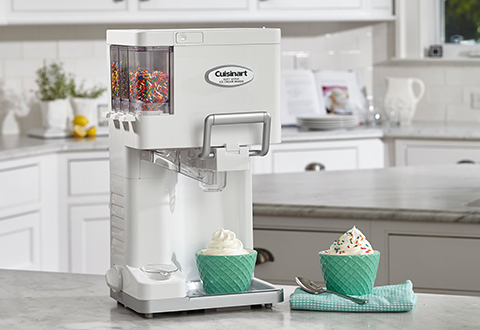 The Cuisinart® Soft Serve Ice Cream Maker makes smooth and creamy ice cream, with three built-in condiment dispensers for the ultimate homemade treat! • You control the ingredients — just add milk, sugar, fruit, etc. 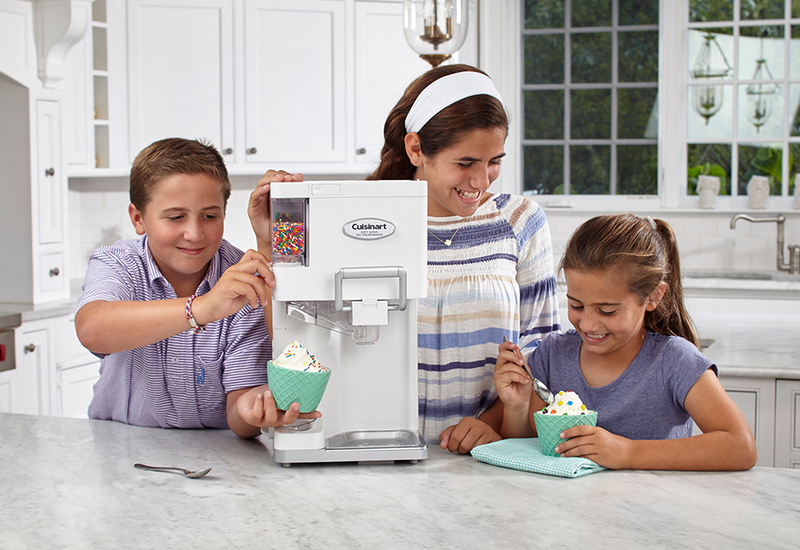 • Three built-in condiment dispensers let you mix in sprinkles, chocolate chips, etc.